The “Ike Dike” that is being proposed to protect the Galveston-Houston area from a potentially catastrophic hurricane storm surge could take the form of undulating sand dunes hiding a steel or concrete core. The proposal to craft a storm barrier that would blend in with the environment and potentially strengthen beaches against erosion is one of three proposals for where and how to build a surge barrier, an idea that has gained considerable political momentum and is likely to be the subject of some form of action when the Legislature convenes next year. 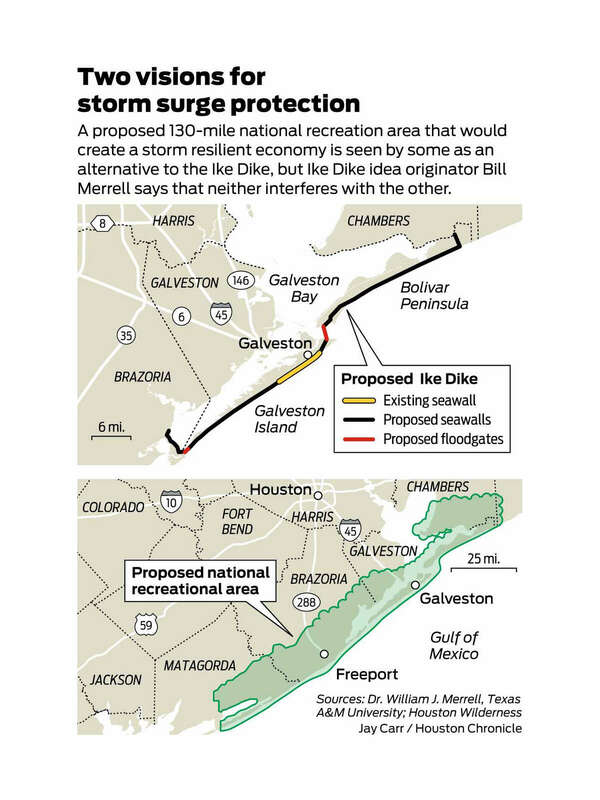 The six-county Gulf Coast Protection and Recovery District, known as the storm surge district, has looked at placing the surge barrier landward of the highways that run along the coast on Galveston Island and the Bolivar Peninsula. Rice University’s Severe Storm Prediction Education and Evacuation from Disasters Center (or SSPEED) has recommended raising the highways as the most economical way to build a surge barrier and still ensure an evacuation route as storm water rises. Several people died during Hurricane Ike in 2008 as rising tides isolated them on the highway. Placing the surge barrier on the beach, as has been done successfully in the Netherlands, is a proposal being pushed by the Center for Texas Beaches and Shores at Texas A&M University at Galveston. Engineering the storm barrier to be part of the natural landscape would create habitat for plants and animals and protect homes between the beach and the highway that otherwise would be left to the mercy of the storm, said Sam Brody, who teaches marine science at the center. Brody conceded that it will be more expensive to build the barrier along the beach and will increase the estimated $5.8 billion cost. “The added cost of restoring and enhancing the environment is worth it over the long term,” Brody said. The idea is getting no resistance from the SSPEED Center and the storm surge district. “We don’t have a strong position one way or the other,” SSPEED Center Co-director Jim Blackburn said. Chris Sallese, program manager for the storm surge district, said his agency looked at building the barrier landward of the highway because SSPEED and Texas A&M were looking at the other alternatives and the district wanted to make sure all possibilities were examined. If there is a lesson from the devastation of Hurricane Ike eight years ago, it is that the Houston-Galveston region is extremely vulnerable to a catastrophic storm surge, and the next hurricane could send the regional economy into a deep tailspin. But plans to protect the region from such a storm surge have lagged as officials and experts argued about whether to build a major coastal barrier called the “Ike Dike” or a series of smaller projects that could be completed more quickly. Now, there is strong support for building the $11.6 billion Ike Dike plan, designed to keep a massive storm surge from rushing into developed areas. A six-county storm surge district recently recommended a plan that calls for 277 miles of coastal barriers, including raised seawalls, levees and surge gates. Planners have completed studies showing that the Ike Dike could prevent $38 billion in losses and save 151,000 jobs over a 50-year lifespan. Unlike earlier proposals, the plan now backed by the Gulf Coast Community Protection and Recovery District, also known as the storm surge district, recommends raising the Galveston seawall by 4 feet, building a levee on the bay side of Galveston and a gate at Clear Lake. A proposed gate at San Luis Pass on the west end of Galveston Island was eliminated. Differences remain over how to block a storm surge inside Galveston Bay and how close to the beach to build the surge barrier. Some also worry about the environmental effect of a proposed surge gate between Galveston Island and the Bolivar Peninsula. 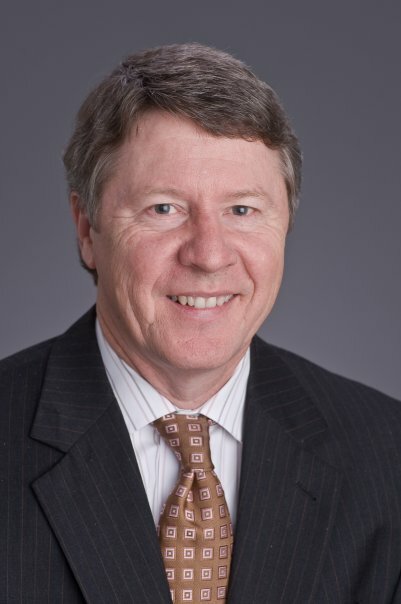 Larry Dunbar, project manager for Rice University’s Severe Storm Prediction Education and Evacuation from Disaster (SSPEED) Center, told legislators that it was better to move ahead with smaller projects, such as the center’s proposal for a gate inside Galveston Bay, that could be financed locally. See here for previous Ike Dike blogging. I don’t have a point to make, I just wanted to note this stuff before it got completely lost in the 2016 election hole. Actually, I will say that if Sen. John Cornyn wanted to propose some kind of funding mechanism for this, I’d bet President Hillary Clinton would be amenable to working with him on it. Just a thought. Call it Ike Dike 2.0 if you want. 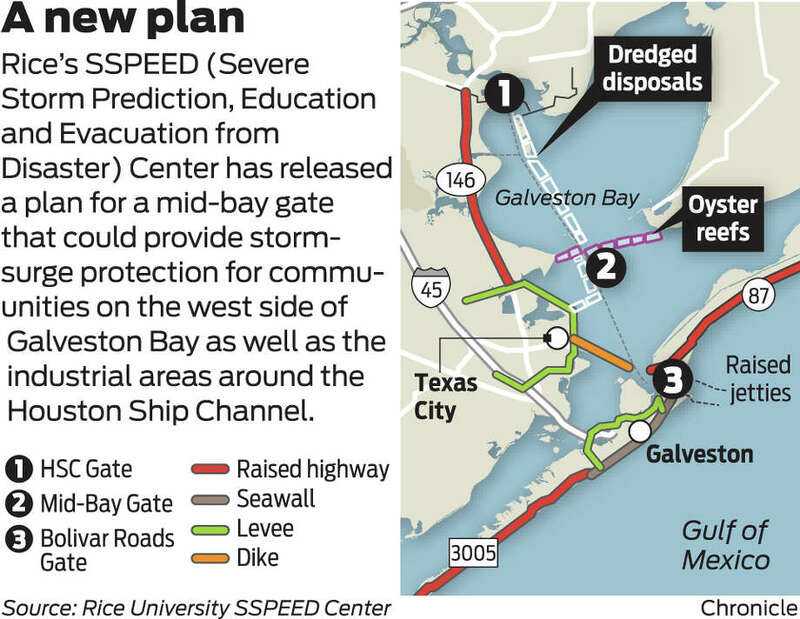 Five years after Hurricane Ike devastated the upper Texas coast, a group of Houston scientists presented details Tuesday about a proposed gate to protect the Houston Ship Channel and much of the Bayou City’s industrial base during another hurricane. Meeting at Rice University, the scientists generally agreed that a large gate at the entrance to the Ship Channel would provide a cheaper and more environmentally friendly alternative to the Ike Dike. Preliminary designs suggest the 600- to 800-foot-long gate, located either at the Fred Hartman Bridge or Morgan’s Point, would cost about $1.5 billion. The question faced by the scientists now is: How best to move the concept of the “Centennial Gate” from academia and into a physical reality? Hanadi Rifai, a University of Houston environmental engineer, has been studying how chemical industries along the Ship Channel would be affected had a stronger version of Hurricane Ike hit about 25 miles farther south along the coast, which would have pushed a much larger storm surge into Galveston Bay. She found that if a Hurricane Ike with just 15 percent stronger winds hit near San Luis Pass, it would have devastating effects on the Ship Channel industries. Tallying up losses to facilities, downtime, productivity and environmental charges, such a storm would produce an estimated $148 billion in economic losses to the Ship Channel. “The question is not whether we need to do something, the question is what do we do,” Rifai said. The first mention of this alternate idea was two years ago; see here and here for the previous incarnation. When you put it in the context that Prof. Rifai does, it sure does seem like a worthwhile idea. SciGuy goes further than that. A gate, frankly, is a no-brainer. It is the lowest of low-hanging fruit for this region when it comes to better preparing ourselves for a large hurricane. But I’m told by organizers of the Centennial Gate concept that Harris County officials — that would be commissioners and the county judge — have yet to express much interest in a gate. The implication from this apparent disinterest is that it’s more important to ask the public for $217 million to repair a building whose best days are behind it than addressing the ship channel’s vulnerability. Someone needs to show some leadership and cobble together a coalition of public money, industry investment and federal funds to build a gate that would protect the region’s economy and environment. Such a gate would also very likely increase industrial investment in the ship channel, knowing that facilities built there would be hardened against the region’s sole major natural disaster. As Ben Franklin once said, “An ounce of prevention is worth a pound of cure.” The problem with building the Centennial Gate is that it requires government officials to be proactive, rather than reactive. To be fair, they have to come up with a way to finance the thing – $1.5 billion is a lot less than $148 billion, but 1) it’s still a lot of money; 2) the risk of a multi-billion dollar loss due to hurricane damage is hard to quantify – it’s not nothing, but it’s hardly inevitable, and; 3) the voters still need to be convinced. This is a process, and these things take time, just as the Astrodome referendum was years in the making. It’s just that in the matter of the Ike floodgate, the question of time is a bet. See the SSPEED homepage and the floodgate brochure for more. The answer, of course, is no, not really. After Tropical Storm Allison’s devastating floods, the Houston area widened its bayous and hardened its infra­structure. After Hurricane Rita’s deadly gridlock, the state revamped storm communications and evacuation plans. Yet since Hurricane Ike’s enormous surge wiped out coastal communities and its $30 billion in damages dwarfed those of the other two storms, not much has happened. Which is to say that [Wednesday] — the first day of a new hurricane season that’s expected to be quite active, and nearly three years after the costliest storm in Houston history — the region remains as vulnerable as ever to storm surge. In Ike’s wake the state formed the Gulf Coast Community Protection and Recovery District, which includes Brazoria, Chambers, Galveston, Harris, Jefferson and Orange counties, to study storm surge remedies and possibly put them into effect. But so far, the district has no federal or state funding. State funding? Don’t make me laugh. Rick Perry has actually been using the prospect of a hurricane as a justification for not using more of the Rainy Day fund, even though that’s never been the fund’s intended use. As for federal money, there was probably a brief moment in 2009 when something like that could have been part of the stimulus package – Lord knows, we should have aimed to spend a ton more on infrastructure projects. That moment is long gone, and even if our ridiculous Republican members of Congress wanted to push for this, the only way the rest of the Republican majority would let it happen would be if the Democrats would agree to pay for it by cutting services elsewhere, much as they insisted on doing so for tornado relief. Meanwhile, a bunch of white swans are swimming by, but no one is paying attention to them. As for what could be done, we’re familiar with the Ike Dike, but there’s another possibility out there. “An environmental and industrial disaster that will put the Ship Channel down for months is my biggest fear,” [Phil Bedient, a Rice University civil engineer who studies flooding] said. He said most facilities in the port area are protected from about a 14-foot surge, with some facilities a bit higher. Had Ike come ashore 25 miles down the coast, at the west rather than the east end of Galveston Island, it would have pushed a surge of up to 19 feet up the Ship Channel, Bedient said. As a result of these concerns, Bedient and colleagues plan to propose putting a large gate at the entrance to the Ship Channel. Such a gate would cost far less than the so-called “Ike Dike” proposal, and would cause less concern among environmentalists. As it happens, Prof. Bediant had an op-ed in the Chron on the same day, also sounding the alarm about storm preparedness. Unfortunately, he didn’t go into any detail about the Ship Channel gate. I suspect it’s laid out in detail in this report on Hurricane Ike, which is on the Severe Storm Prediction, Education and Evacuation from Disasters (SSPEED) Center‘s website. Read it and be prepared to take a short quiz on it for next week.